David Albahari. Ellen Elias-Bursac, tr. 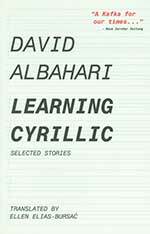 David Albahari’s collection of twenty short stories detailing the experience of living as an immigrant are rife with intense beauty regardless of whether the ending is joyful or sorrowful. 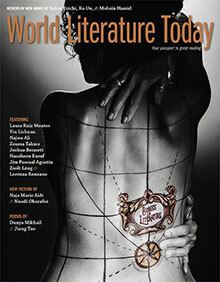 Exploring the difficulties of adapting to a new culture without losing the old, the stories weave together lives and moments in their quest for an answer to the struggle of belonging (see WLT, Sept. 2013, 12). Joaquim Amat-Piniella. Robert Finley & Marta Marín-Dòmine, tr. 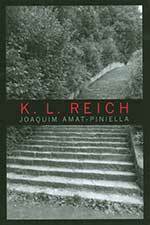 Based on his experiences in a Nazi concentration camp, Joaquim Amat-Piniella’s novel shows what life was like in the camps for Spanish prisoners. This novel tells the little-known story of the Spanish Republican exiles who were taken in the Nazi occupation of France while simultaneously unveiling the depths of suffering in the camps for the prisoners. Blai Bonet. Maruxa Relaño & Martha Tennent, tr. 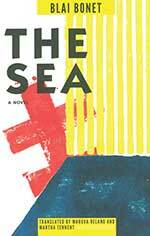 Blai Bonet fearlessly delves into the depths of the human soul in his new novel. 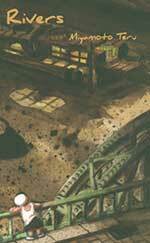 Light and dark, good and evil, religion and relationships all weave throughout the narrative, marking the characters. Exploring the pain of secrets and things left undone, this book shows people for who they are both through their actions and their inmost beings. 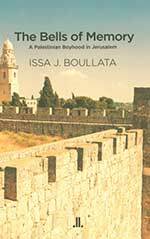 Issa J. Boullata’s autobiography about growing up as a Palestinian boy in Jerusalem during the British Mandate is a haunting recollection of a city that no longer exists. His calm, collected tone expresses his love for Jerusalem and his sorrow at having been forced to leave without falling into hatred. Rich language evokes intense emotion in this novel about family, sisterhood, and what it means to be female in a male-dominated culture. Exploring in retrospect how a father can affect his daughters’ lives in myriad ways, not all of them good, Dhanoa is unafraid of taking a hard look at Indian society and the individuality of family members. Spanning different time periods and continents, James Edgecombe’s novella about an artist and his paintings investigates whether an image can really tell the whole story and what that story might be. 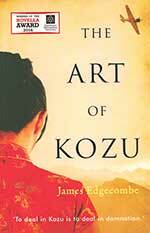 Steeped in the culture of Japan and written in an elegant style that doesn’t waste time with unneccessary description, this book is a fitting testament to Yuichiro Kozu’s work. A tale of beauty and intrigue set in the court of England’s King Charles I, this energetic novel pits magic, science, religion, and royalty against one another in a clash unlike any other. Examining both seventeenth-century English politics and the prices that people will pay for beauty, Eyre’s work creates a compelling narrative that draws readers into its world. Pascal Garnier. Melanie Florence, tr. Pascal Garnier’s dark novel depicts human trauma with a fearless clarity. 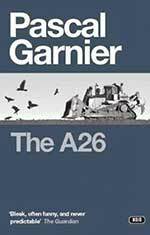 Following a traumatized woman’s descent into madness as she loses her brother—who is experiencing his own troubles in difficult circumstances—Garnier’s signature spare prose is both stark and haunting. A touch of mystery serves to sharpen the book’s depiction of people and the choices they make when troubles come. Lurgio Gavilán Sánchez. Margaret Randall, tr. 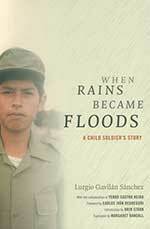 Written in unembellished language, this autobiography penned by a former Peruvian child soldier shows both the stark savagery and the gentle compassion of life among horrific circumstances and the decision to leave and pursue a life of peace and knowledge. Jón Gnarr. Lytton Smith, tr. A dark memoir full of black humor that details the author’s painful experiences as a child unable to fit in due to struggling with learning and emotional disorders, Gnarr’s book illuminates the struggles that come from being considered broken. Written with cleverly shifting points of view, this haunting narrative invites readers to consider the trauma of an outcast child. 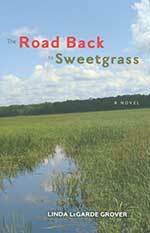 Steeped in the Ojibwe (Anishinaabe) culture, The Road Back to Sweetgrass follows the lives of a trio of Native American women and their relationships with and connection to the Sweetgrass allotment. Recalling the pain of the past and the struggles of the present, Grover’s novel invokes senses of place and wonder as its characters search for meaning in a traumatic history. Qassim Haddad. Ferial Ghazoul & John Verlenden, tr. 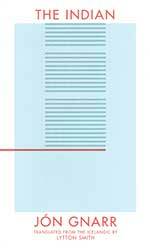 Steeped in classical Arabic poetry yet written in an often playful modern style, the verse in Haddad’s book retells old stories and poems in a way that makes them feel fresh. With topics ranging from love to history to human nature, these poems combine lyric and prose to form gorgeous lines dripping with meaning. This novel about a Chinese Indian girl forced to marry against her will—who must find the strength to escape and love whom she wants— captures the reader’s interest with its masterful questioning of the values of a rigid tradition. 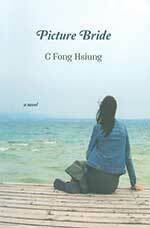 Full of haunting twists, Hsiung’s book is a powerful testament to a woman finding herself and her inner strength. 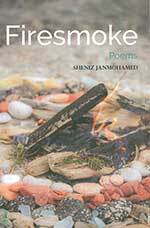 This collection of poems from Sheniz Janmohamed spans three poetic forms in its quest to uncover both truths about the soul and the life cycle of fire. 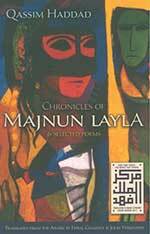 Using images of nature and combining them with references to history and the tenets of her cultural heritage to evoke beautiful examinations into life, Janmohamed’s writing is wonderfully complex in its simplicity. Miyamoto Teru. Roger K. Thomas & Ralph McCarthy, tr. 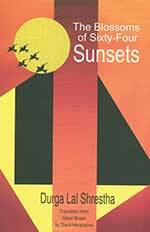 Rivers collects the three great works of popular Japanese writer Miyamoto Teru into a single volume packed with rich, well-developed characters and landscapes. Following the theme of being forgotten, these works chronicle the struggles and small victories of life in an elegant, subdued prose. 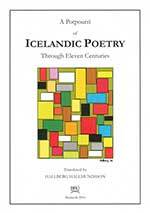 Gathering together the works of Icelandic poets over the course of several centuries, this collection shows the long-lasting impact and rich traditions of poetry in Iceland. 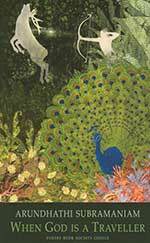 While the poetic style changes as the verses move from century to century, the core of an elegant lyrical tone and themes of nature, religion, and life remain constant. Sergio Ramírez. Nick Caistor & Hebe Powell, tr. 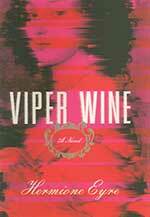 Set in Nicaragua, this genre-defying novel is considered one of the greatest literary works to come from Central America. Focusing on a famous 1933 trial, the book uses the backdrop of the trial to analyze a society heading deeper and deeper into darkness. 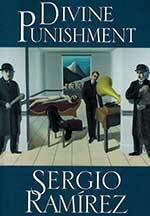 Written with plain, terse language, Sergio Ramírez’s novel looks hard at the psychology of a people in flux. Care Santos. Lawrence Schimel, tr. 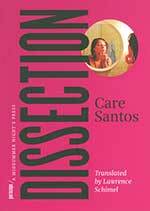 This collection of poems about relationships written by Spanish writer Care Santos is filled with intense language that perfectly captures the joy, hearbreak, and pain which come from being a woman in love. Crisp lines, a clever theme, and a beautiful sense of emotion tie each separate yet connected poem together. 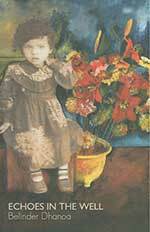 Durga Lal Shrestha. David Hargreaves, tr. Sixty-four poems written in both English and Nepal Bhasa make up this collection of beautiful, interesting imagery and observations about life. Each poem reveals the poet’s unique perspective on what it is to be alive. Wandering through places and lives, this verse collection evaluates what living is and what it means in a gentle voice that seems to look at each subject with a sort of wonder. 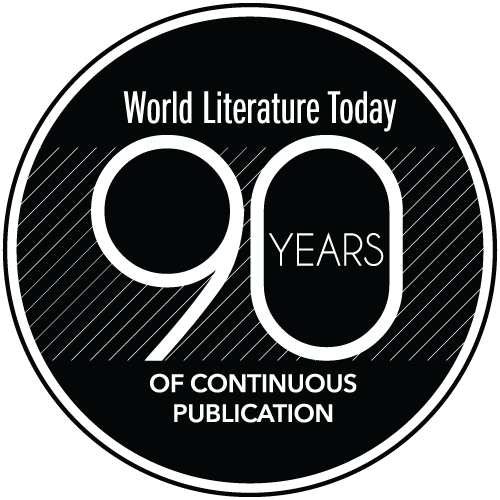 Each poem offers beautiful perceptions of the various ways people live; whether they are rich, poor, man, woman, child, adult, or even a city, all have a voice in these poems. 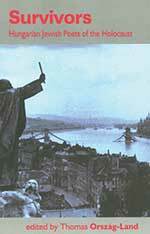 Thomas Ország-Land, ed. & tr. Out of one of the greatest historical tragedies of the twentieth century comes this anthology of poetry written by sufferers of the Holocaust. Full of dark imagery, these poems nevertheless seek to find meaning and hope in the horror while simultaneously cautioning against going down that path again. Leo Tolstoy. Louise Maude & Aylmer Maude, tr. Famed Russian writer Leo Tolstoy wrestles with questions of aging and mortality in this lesser-known novel. 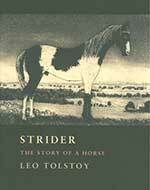 Told largely from the viewpoint of an old horse recounting his story and his owner’s as they go through life and experience decline, Tolstoy’s sharp prose pierces to the heart of humanity and shows us our true selves. While the opening poems in this eight-part work depict a demon’s attack on a pilgrim, Already the Flames opaquely moves from dismay to deliverance. 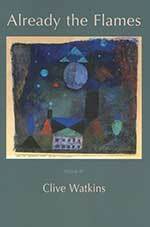 Much like the alternating themes of antipathy and adjustment, Clive Watkins’s extensive range of style vacillates between rhymed verse and unrhymed prose. Through keen observation, this powerful selection of poems sharpens one’s perspective on perpetrator and willing observer alike. Goli Taraghi. Sara Khalili, tr.